The Downtown Eastside (DTES) is one of Vancouver’s oldest neighbourhoods, and the historic heart of the city. In recent years, the Downtown Eastside has struggled with many complex challenges including drug use, crime, homelessness, housing issues, unemployment and loss of businesses in the community. Council and staff have been working to improve the quality of life in the Downtown Eastside for many years, and are now launching the Downtown Eastside Local Area Plan. 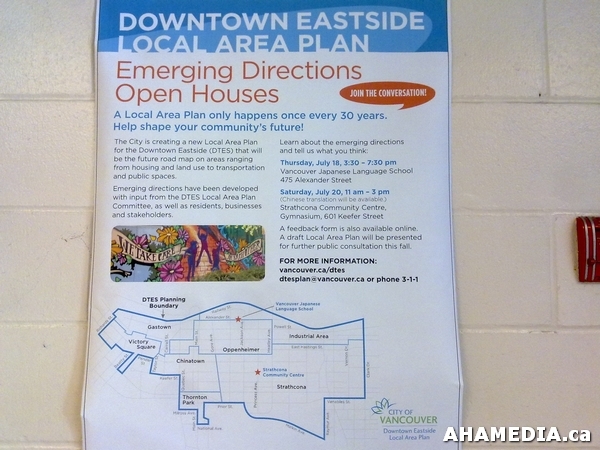 The goal of the Downtown Eastside local area plan is to create a vision and plan for the Downtown Eastside that will focus on ways to improve the lives of low-income DTES residents and community members. The DTES local area plan will be developed in partnership with the DTES Neighbourhood Council (DNC), Building Community Society (BCS), and the Local Area Planning Committee. Through each phase of the planning process, there will be a range of community engagement opportunities, where you can share your ideas and offer feedback.